Google has just announced Android Wear, a platform that will standardize Android on wearable devices. Android watches (and wearables) are kind of a mess right now. There is no consistency and the OS is usually modified in odd ways. Android Wear aims to fix this issue by becoming the common foundation across all Android wearables. Google SVP of Chrome, Android and Apps Sundar Pichai touched on this topic at SXSW. He stated that Google would release an SDK that would set a standard for Android wearable devices. Today’s announcement only covers smartwatches, but we know Google aims to expand Android Wear to other wearable devices. We usually don’t cover Android news that are not related to Chrome somehow, but there is an obvious connection between Android Wear and Chrome. Because both platforms are made by Google, we can expect services in Android Wear to be deeply integrated to Google’s other services. Chrome and Android share many common services. 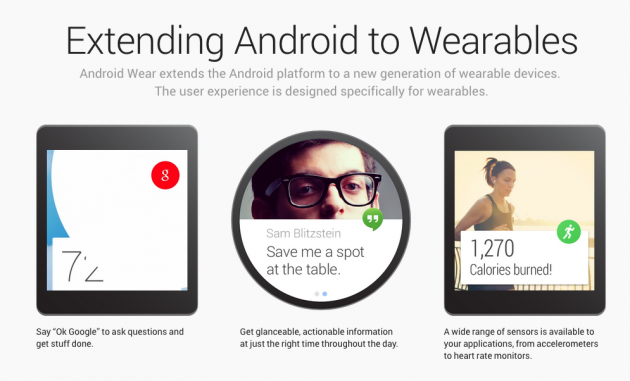 We know you will be able to access Google Now and Hangouts through Android Wear, for example. These are also deeply integrated into Chrome and Chrome OS, and we are sure we will see more examples of Chrome and Android Wear working together. Of course, this effort can’t become a success without the help of our beloved developers. Google has also released an Android Wear SDK preview, which will help developers start optimizing their apps for Android Wear smartwatches. So we know how Android Wear will work and what its main purpose is. 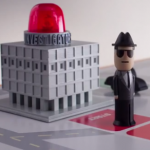 That is awesome and all, but what we really want to see are the devices! Google is currently working with a very healthy list of manufacturers to bring Android Wear devices to the market. Asus, HTC, LG, Motorola, Samsung, Broadcom, Imagination, Intel, Mediatek, Qualcomm and fashion brands like the Fossil Group are already planning to get some devices out later this year. In fact, LG and Motorola have already announced their very own! LG and Motorola are the first to come out and give us a glimpse of their own Android Wear Smartwatches. The manufacturers have just announced the LG G Watch and the Moto 360, two devices that are looking very promising. I have to say I happen to really like Motorola’s design. 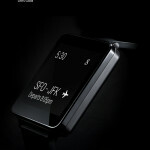 It resembles traditional watches more closely, and it looks like the build quality and design are very well thought out. The circular design also makes it very unique compared to other smartwatches. This is not saying LG is falling behind, though. The LG G Watch does look very sleek and elegant. It’s just that Motorola seems to have put deeper thought into its smartwatch’s design. This is something you can see in the results, as well as in the video below. Specs and other details will be announced later. We do have some estimated release dates, though. The LG G Watch will be available during Q2 of 2014, which is actually very soon. 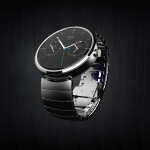 Meanwhile, Motorola will bring the Moto 360 with different designs by the summer. 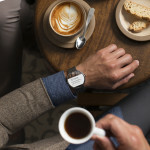 I am very excited to see Android Wear coming to fruition. Android wearables are a complete mess right now. We needed some form of official support or guidance from Google, and I believe this is the first step for a great future with Android wearables. For now, I have my eye on that Moto 360. It looks gorgeous! I am hoping another manufacturer will use e-ink, mirasol or some form of energy efficient screen technology. I don’t like the idea of a smartwatch dying on me every single day. Which one do you like? 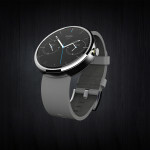 Will you get one of these, or wait for a better Android Wear device to be announced? this is going to be huge. i would like to see a ‘maker’ side to this. some sort of ‘wear certified’ hardware so we can let the crowd come up with some novel tech beyond a watch. i’ve been racking my brain and my wish list for these products. ability to detect blood sugar level for diabetics. a nice loud buzzer if you start to crash in your sleep to get you up and get thing taken care of. next i think we could bring in ^n factor authentication. Our heartbeat (watch) has its own unique rhythm. other data points could be iris (from google glass), a simple eeg sensor in the frames of glasses could also be used. Even the way we hold our phone has a very specific micro-sway to it. all these aspects of who we are could bring about a secure ‘dark net’ (ala Daniel Suarez Daemon and Freedom ™ novels).